The world has witnessed the fourth Industrial Revolution brought by the advancement of digital technology, which impacts all disciplines. Ever since the first Industrial Revolution, technology has always had something up its sleeve. There is always something to talk about, something to figure out, whether it is about new ways to aid everyday lives, ethical dilemmas, or the social and environmental impact of technology usage. The talks never end, so it is time to join the conversation with the world’s most powerful minds across borders. The Massachusetts Institute of Technology’s editorial content platform, MIT Review, and trade fair company Koelnmesse bring the fourth edition of EmTech Asia to Singapore, curating more than 40 visionary tech executives, scientists and investors to lead the discussion. When it comes to innovation, Singapore punches above its weight with its ability to attract the world’s foremost thought leaders in the field. 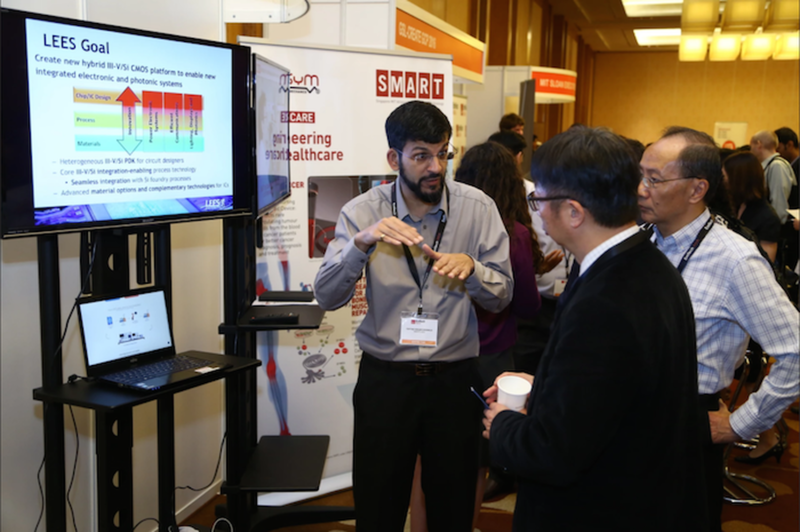 Singapore has hosted many research, innovation and technology events, bringing together industry leaders to discuss globally relevant ideas, help inspire change and promote the exploration of new concepts. With a motto that says “Inspire, Innovate, Collaborate,” participants can expect amazing insights at the conference. The brightest minds in artificial intelligence, materials science, biomedicine and space among others, come together to share breakthrough research and discoveries. See how academia and industry make the best of both worlds, where scientists’ cutting-edge innovations can be commercialized for massive distribution. A variety of hottest topics in emerging technologies will take turns in the limelight under the theme of “Where Technology, Business, and Innovation Collide.” Learn what is next in line for robotics and artificial intelligence, such as the application of robotics to support supply chains with Samay Kohli, chief executive and cofounder of tech firm GreyOrange Robotics. The space race has accelerated, with new companies continuously democratizing space exploration with the latest innovations in satellites and spacecraft. David Oh and Dava Newman from the United States National Aeronautics and Space Administration (NASA) will be among the speakers to talk about the venture to go beyond where man has gone before. Virtual and augmented realities have penetrated the mainstream. Emerging technologies promise to challenge VR’s primacy by dissolving the virtual and the real. Adrian David Cheok from the Imagineering Institute research lab and Anders Ynnerman from the Norrköping Visualization Center research and science center will explain how VR can enhance our day-to-day lives. Another key theme tackles the brave new world of genetic modification. MIT’s Broad Institute and Harvard postdoctoral fellow Le Cong and Nanyang Technological University’s School of Biological Sciences professor Daniela Rhodes are going to present the latest on genome engineering technology and the cryo-electron microscopy revolution. Other themes include cybersecurity technology’s endeavors to combat cyber-attacks, breakthroughs in nanoarchitecture to produce lighter and more energy-efficient materials, as well as smart living projects to sustain population growth. The lineup of inspiring figures does not stop there. MIT Review has revealed the 16th list of “Innovators Under 35.” Ten honorees from Singapore, Malaysia and Australia will each present a three-minute pitch at EmTech Asia to convince investors why their innovations are the next big thing. Scheduled for Feb. 14-15, this year’s EmTech Asia takes place in Asia’s very own tech hub, Singapore. More specifically, EmTech Asia will be hosted at the Sands Expo and Exhibition Centre, Singapore’s newest, largest and most flexible conference and meeting venue. Located in the heart of the central business district, the award-winning and ISO-certified Sands Expo and Exhibition Centre has up to 250 meeting rooms and it can accommodate 2,000 exhibition booths and 45,000 delegates. It is the first green venue and first facility in Singapore to adopt the Singapore Tourism Board’s new sustainability guidelines for the MICE industry in 2013. 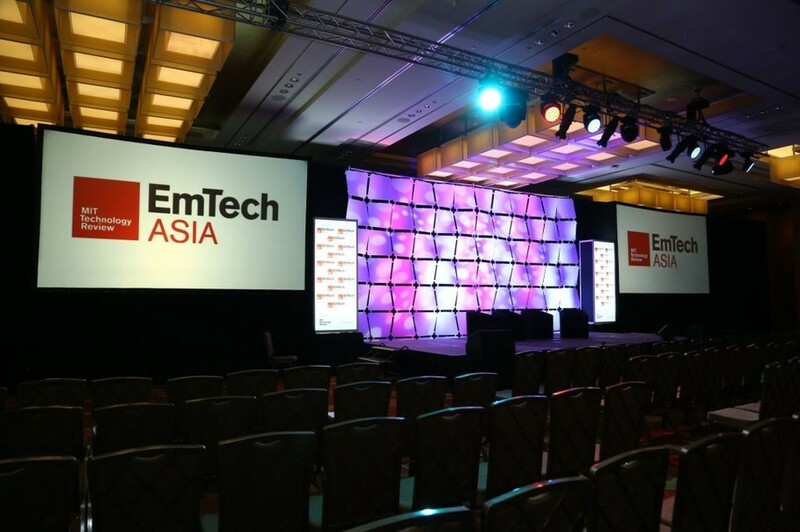 With never-ending insights and a sophisticated venue, EmTech Asia 2017 is expected to draw more than 700 participants from more than 20 countries. Last year, 610 attendees from 23 countries with backgrounds in technology, government, health care, science, finance, manufacturing, education, and engineering flocked to the prestigious conference. Further information about the festivity of last year’s conference can be seen here. MIT Review has prepared a series of preliminary events leading up to EmTech Asia. On Feb. 10-12, there will be the MIT Hacking Medicine hackathon, aimed at improving health care with robotic technology, where teams will compete to create the best social robotic platforms accessible to a wide range of patients, including those with disabilities. The winning teams will have an opportunity to present their innovation at EmTech Asia. The MIT Strategy Workshop gathers Southeast Asia’s leading innovators and thought leaders in the technology and education sectors to brainstorm solutions to pressing education issues. As the talks reach a halt, it is networking and relaxing that follow. Marina Bay Sands is a mini promised land where business meets leisure. It has more than 60 restaurants offering the finest local and international cuisine, not to mention culinary creations by 10 of the world’s celebrity chefs. Adrift by David Myers, Bread Street Kitchen by Gordon Ramsay and Pizzeria Mozza by Mario Batali are among the selection. Enjoy a glass of wine or a handcrafted cocktail while dancing the night away at 24 bars and nightclubs to choose from. Explore how art, science, technology and culture cross paths at the ArtScience Museum along the Marina Bay waterfront. Shop for luxury watch and jewelry brands at The Shoppes. Your stay in Singapore will never go out of style.